The old Metchosin Schoolhouse, directly across from Metchosin's only commercial strip, has been purchased by the District of Metchosin in order to provide a home for Metchosin organizaitons and enterprises. 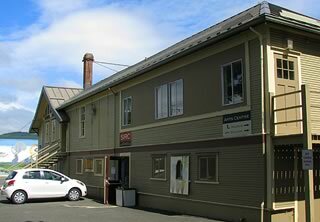 It currently houses MACCA, the Metchosin .Arts and Culture Centre Association, and the Old School Gallery. The Gallay and MACCA host a number of art events. For more information, see the MACCA website. Unpack those cameras and head to the field! You have until October to take candid pictures of your Metchosin neighbours. Your nonhuman neighbours, that is. MACCA (Metchosin Arts and Cultural Centre Association) and MF (the Metchosin Foundation) are partnering to bring you Metchosin, Naturally! Seasons Through the Lens, a photographic contest and exhibition. The exhibition will be at the Arts Centre and the Old School Gallery, 4495 Happy Valley Road, from October 28 to November 10, 2018. 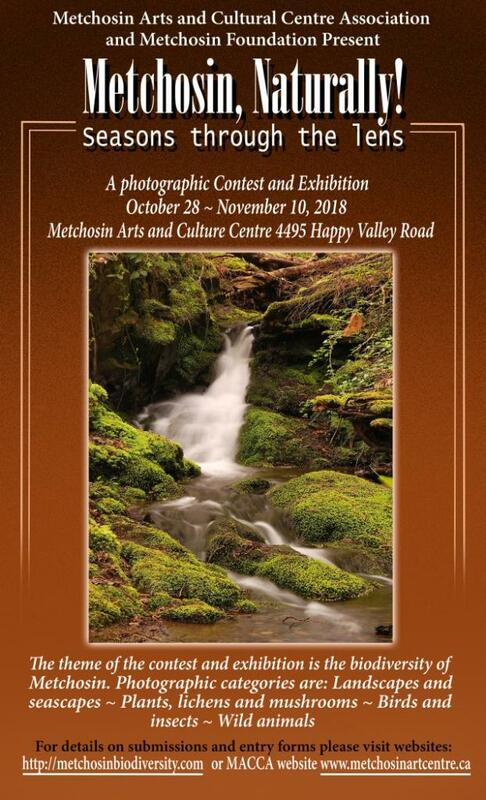 The goal of this new contest and exhibition is to represent the biodiversity of Metchosin through photographic skills. Over the last six years, several local photographers have accompanied Metchosin bioblitz teams while they found and identified over 2400 local species (you can see some of their work on the "Photos" tab at the left). Working with these photographers has made the bioblitz organizers aware how important artistic depiction can be as a tool to expand local awareness of the Districts unique environmental setting. Photo contest poster. (Click for larger version). The contest and exhibition is open to all residents of Canada of any age level. Both amateur and professional photographers may participate. Submissions are limited to three photographs for each photographer and there is a $5 for each photograph. All received photos will be included in the exhibition. The principal subjects in the photographs must be non-domesticated species (i.e., not sheep, dogs, caged birds, garden plants, etc.) growing and living in Metchosin. Submissions from photographers eighteen years and younger will be judged as junior submissions. An external panel of judges will select first, second, and third place awards for each category and for each of the two age groups. All winners will receive certificates, their awards will be noted in the exhibition, and they will be mentioned in exhibition publicity. The junior and non-junior first place winners in the four categories will received boxed sets of Metchosin Foundation Nature Cards. View/print the contest rules and submission form.